I have a new and easy dinner hit in my house! Hummus Crusted Chicken. 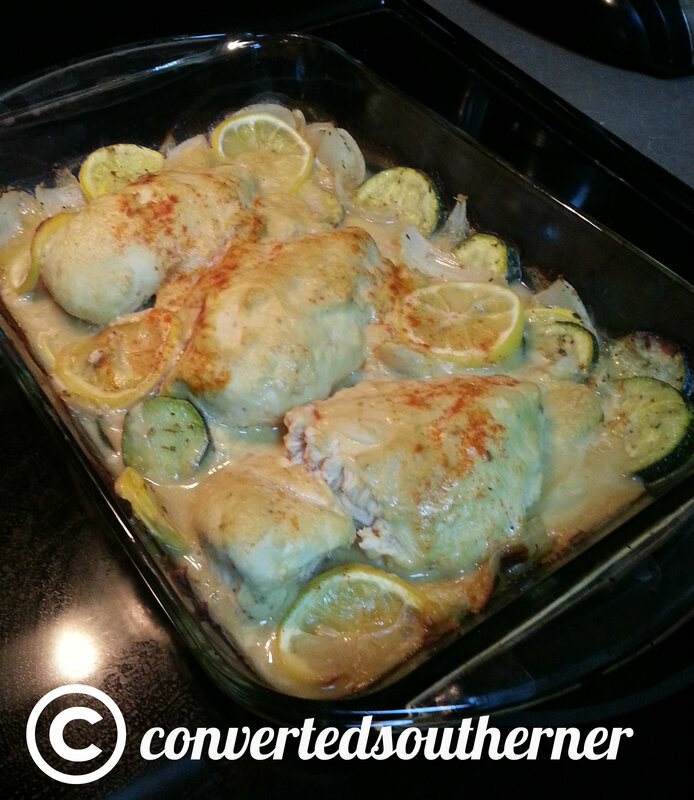 It is a combo of a recipe on Gimme Some Oven and the Greek Chicken Dinner I make. Yummy! This only takes a couple of minutes to prep and then 45 minutes or so to cook… great for a weeknight! Toss veggies in olive oil and add in oregano, garlic powder, salt, pepper and herbs of provence and mix. Squeeze lemon all over dish. If you have opted for two lemons, slice the second and put them all around dish… just be sure to pick them out after its done… I’m not a fan of eating cooked lemon. Cover in tin foil (with a bit of a vent). Cook for 45-55 minutes. Remove tin foil for last ten minutes. I serve with a salad! So yummy!